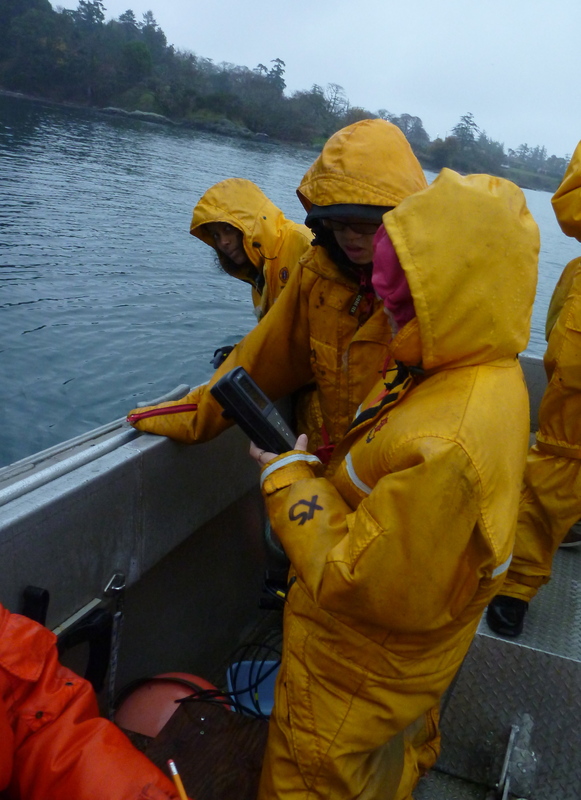 After a very cold night, there was a layer of ice on Pedder Bay again this morning which allowed for some interesting observations and data collection by marine scientists. 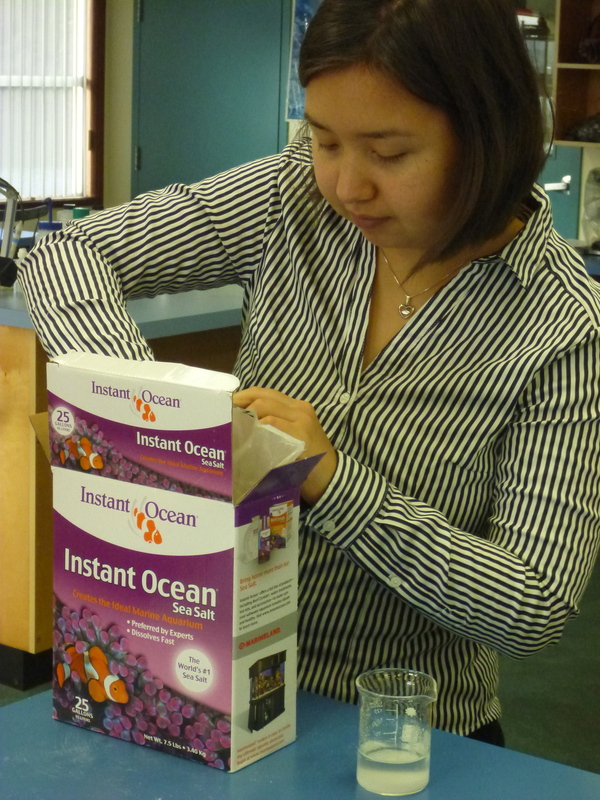 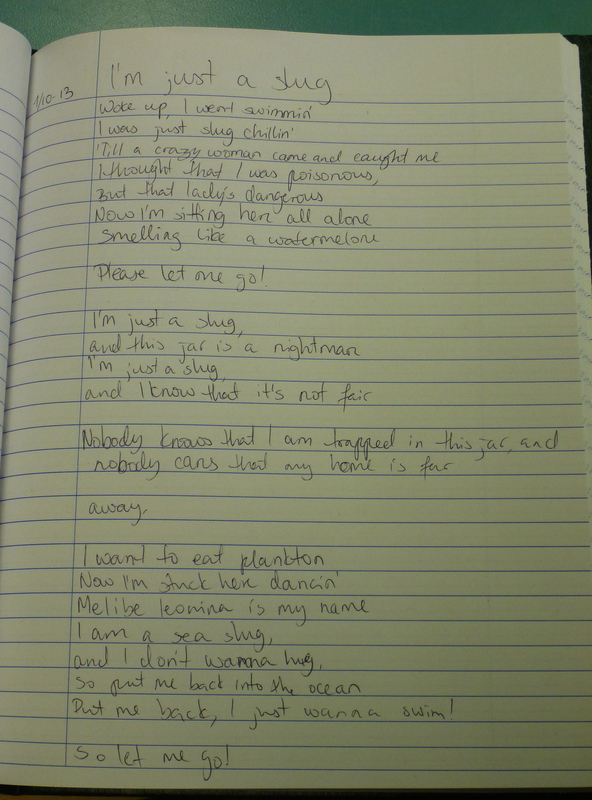 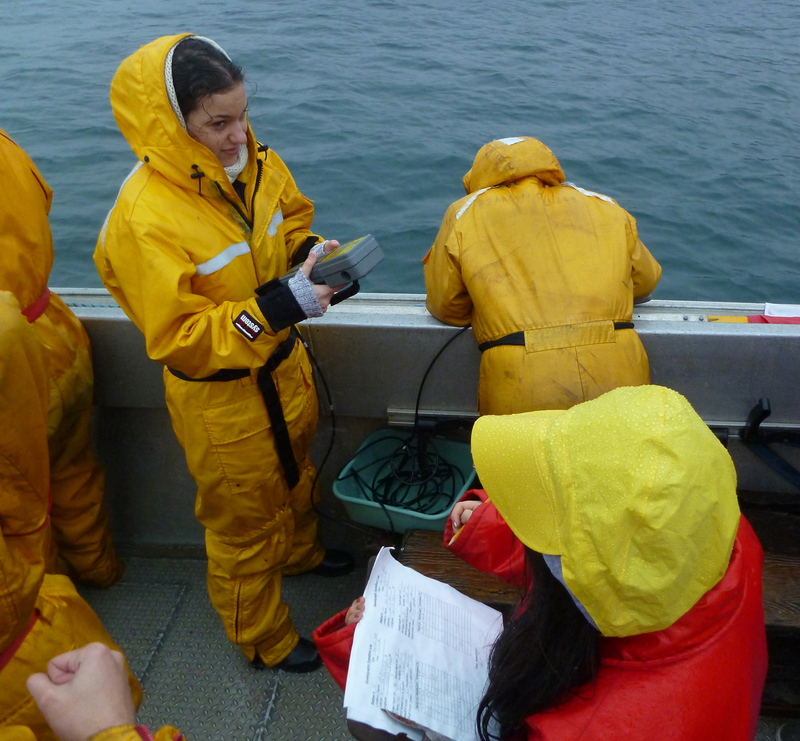 Data below were collected by second year Marine Science students at two different times of the morning. 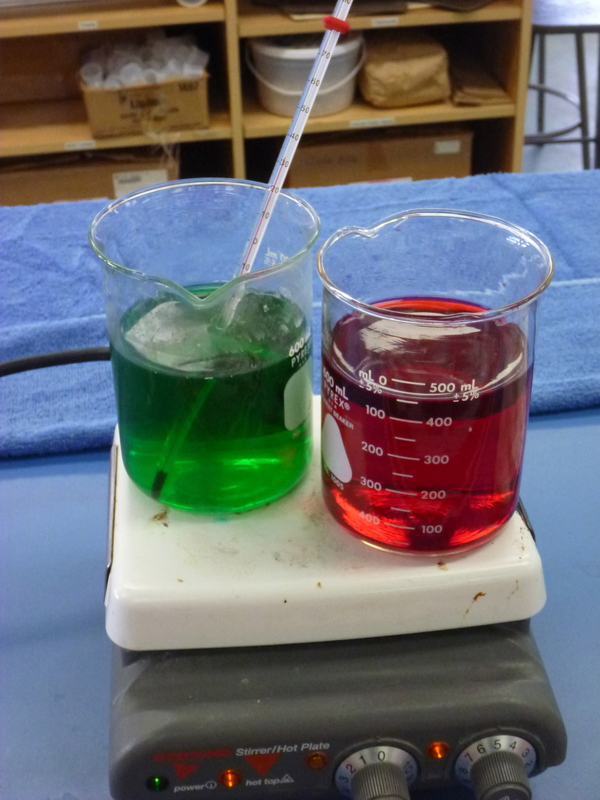 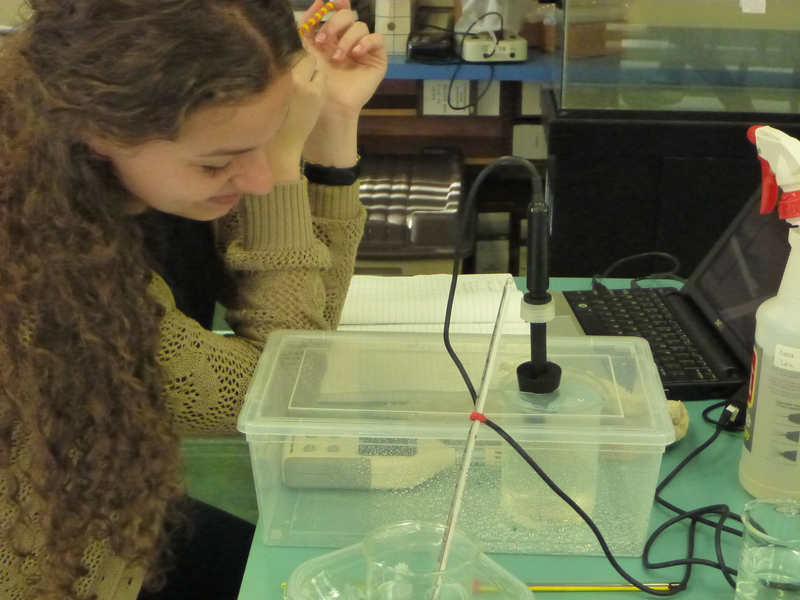 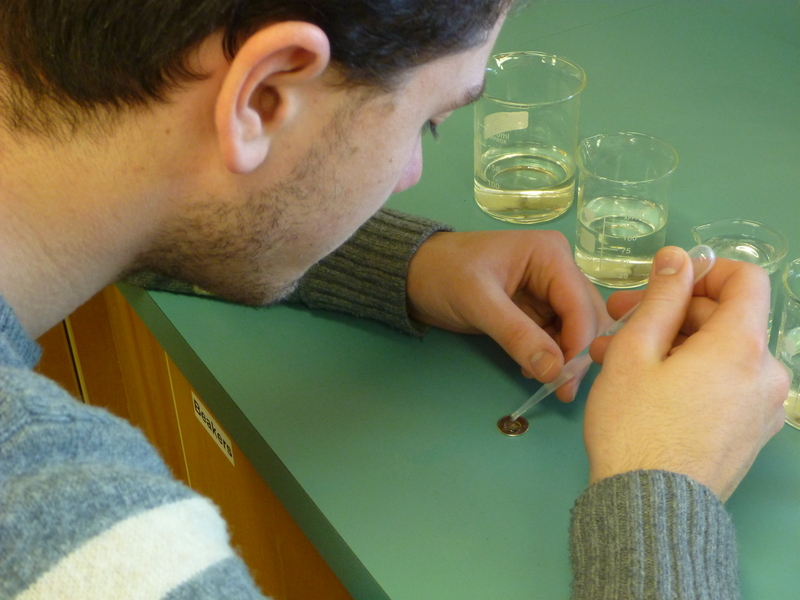 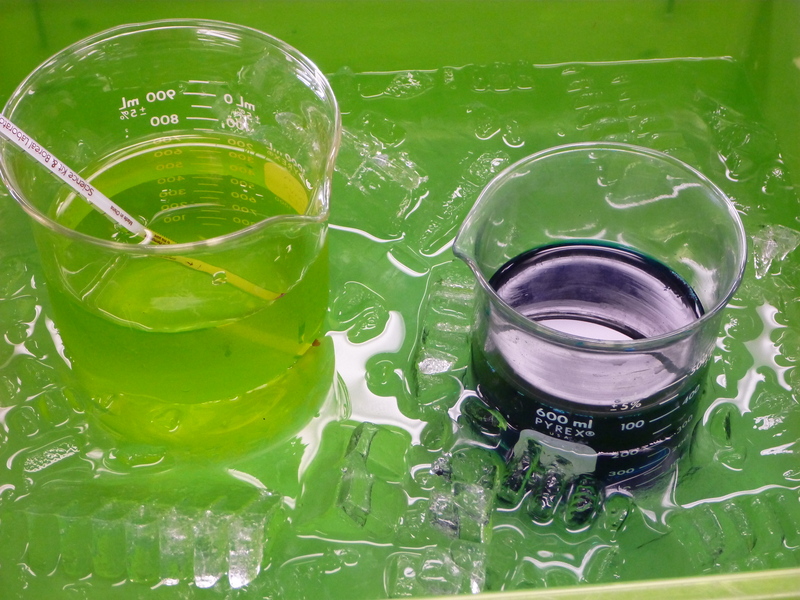 Wait a minute… the cold is not the reason for the blue tongues in these Biology students! 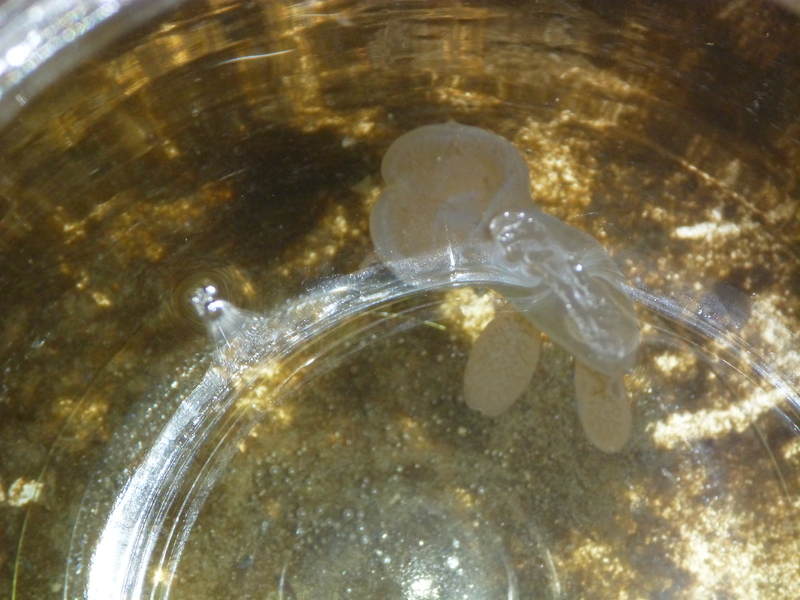 Pancake ice is not common in Pedder Bay, but due to many days of cold air temperatures, it is abundant around the Pearson College dock and around the Pedder Bay Marina. 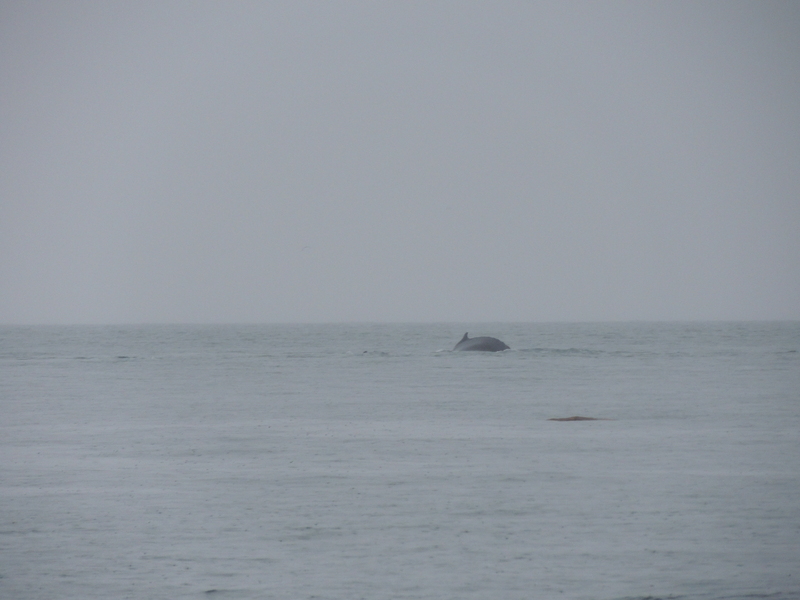 Yikes!! 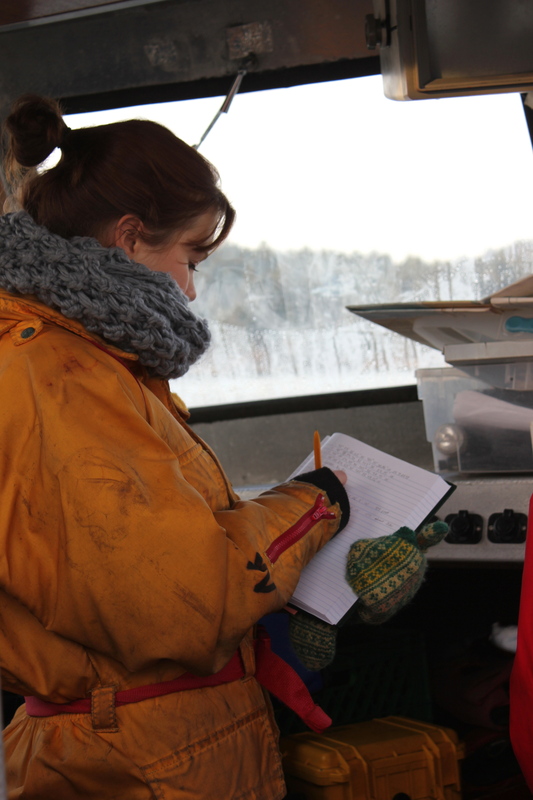 The poor mergansers, their feet must be very cold! 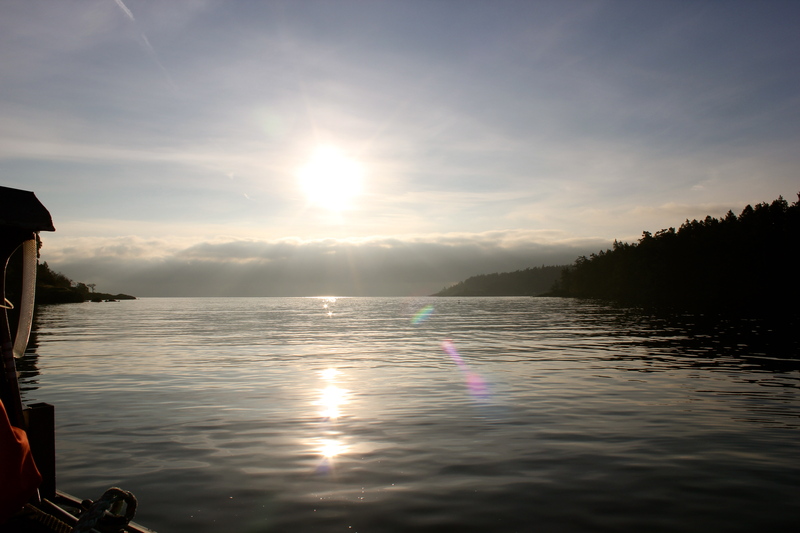 After a snowfall last night, a stunning sunrise this morning. 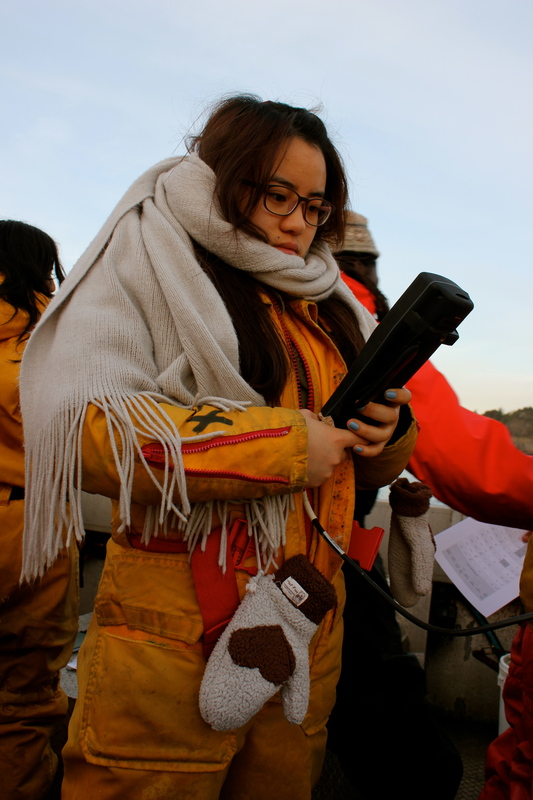 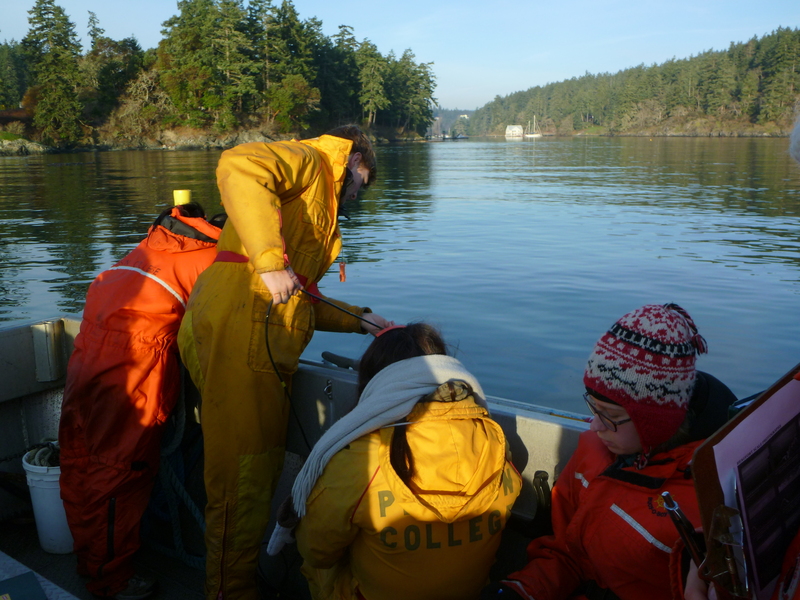 First year Marine Science students also measured seawater temperature and salinity at 9:40 am while the air temperature was 4.2oC. 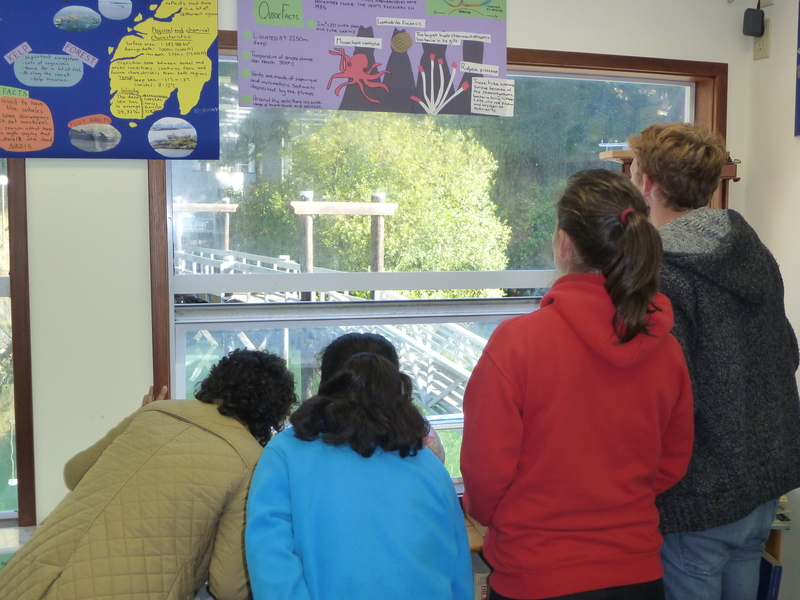 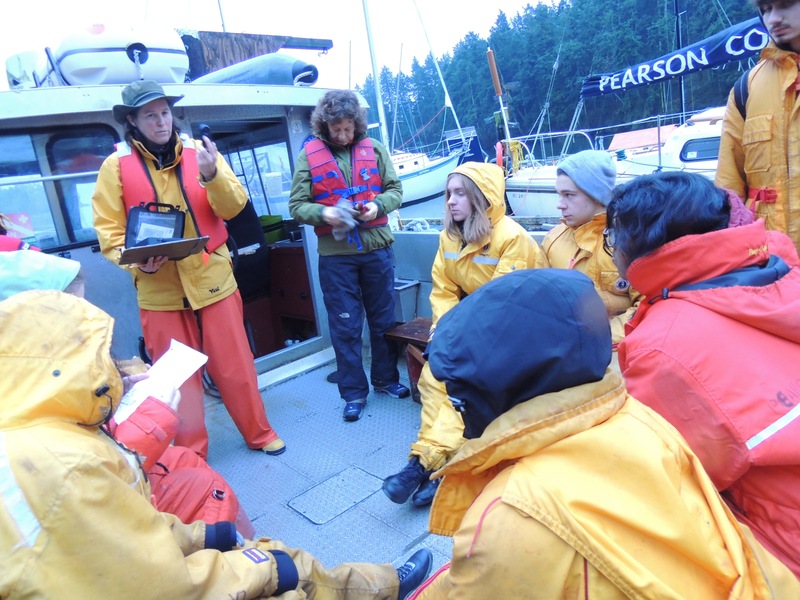 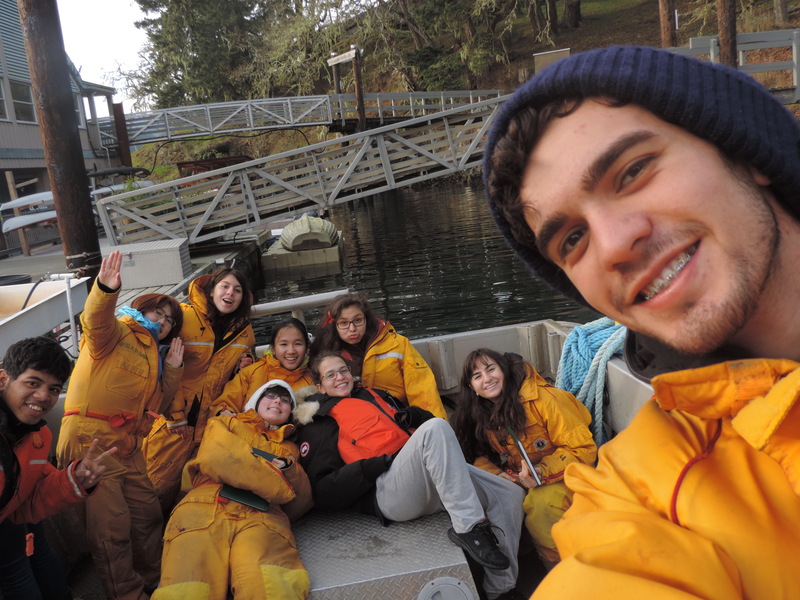 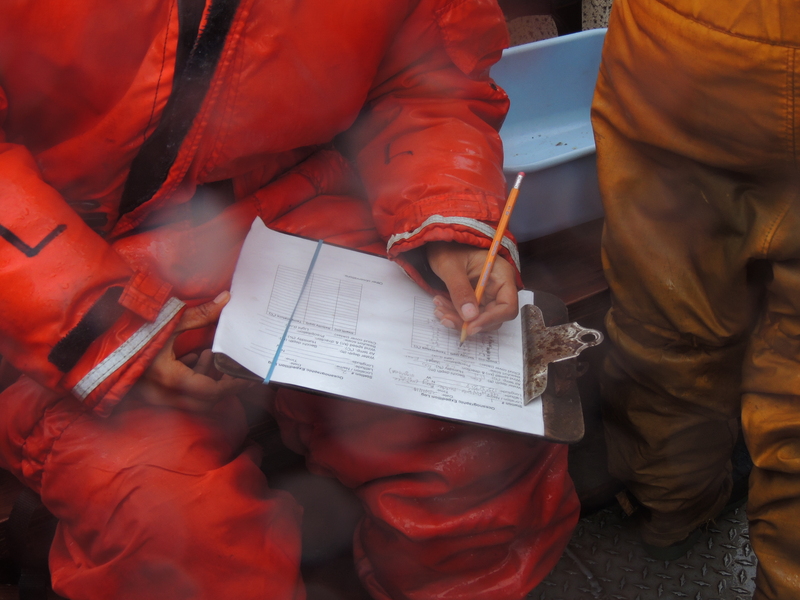 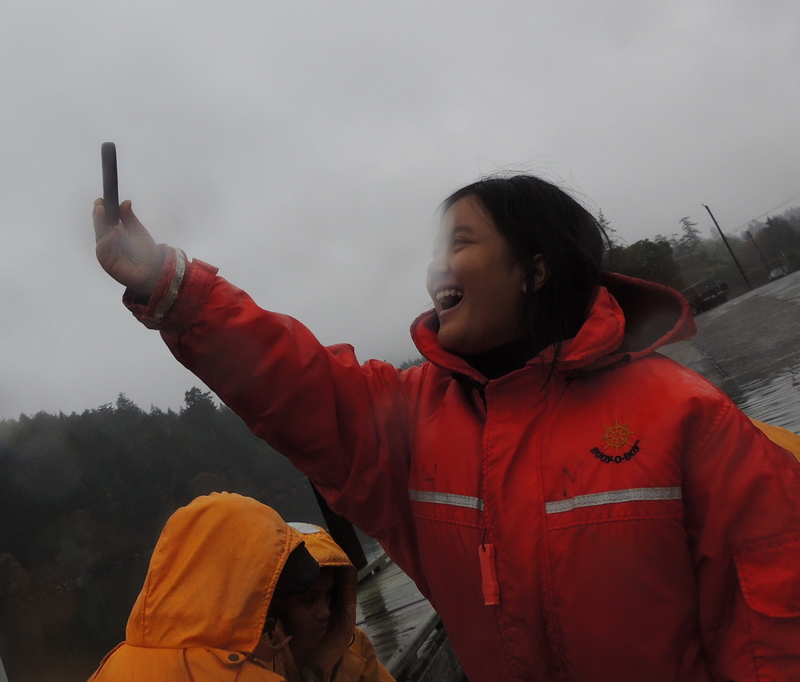 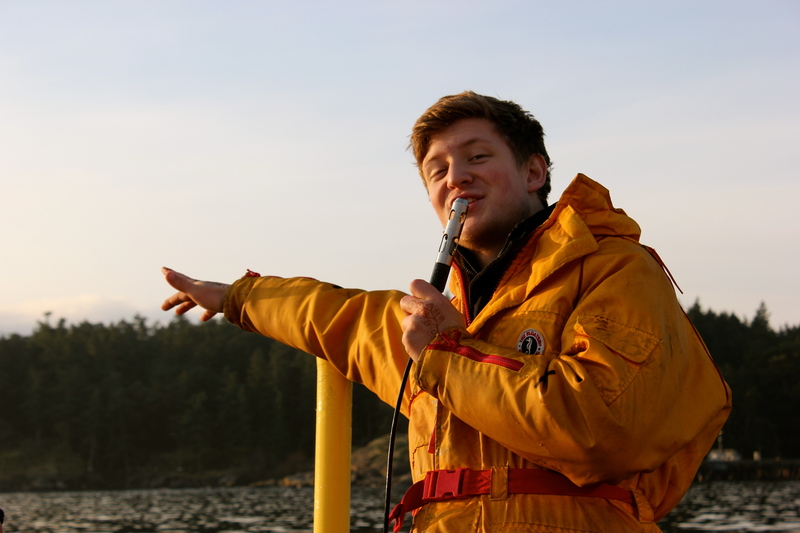 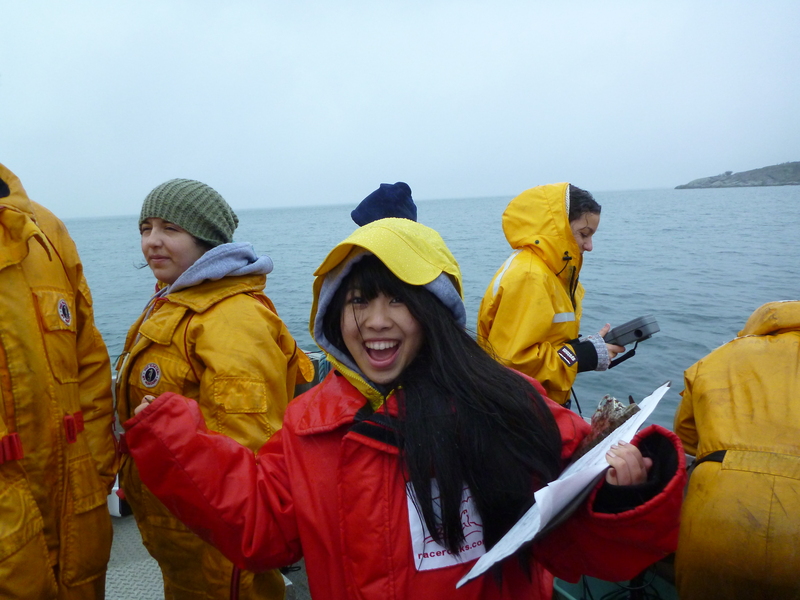 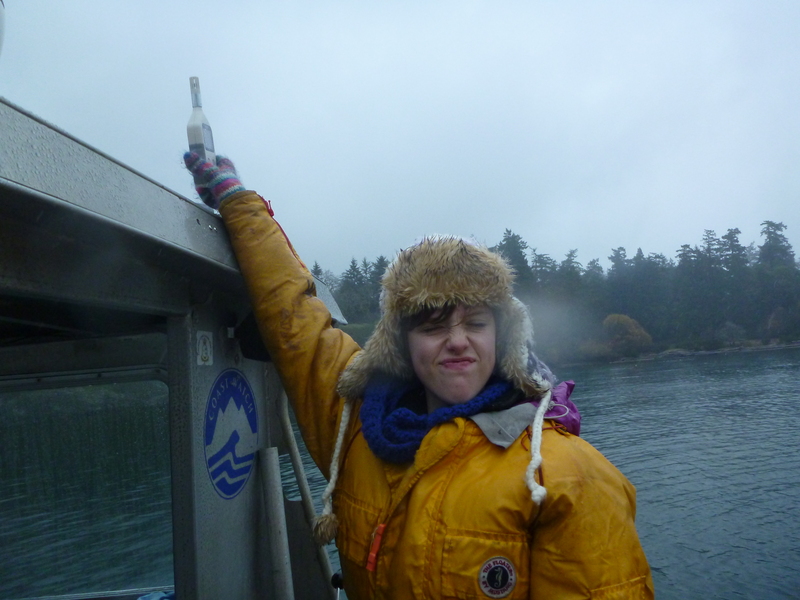 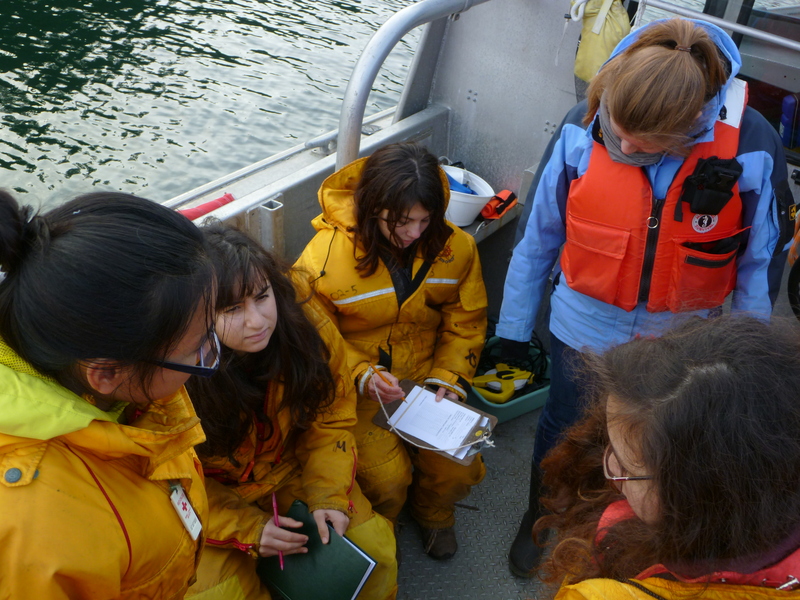 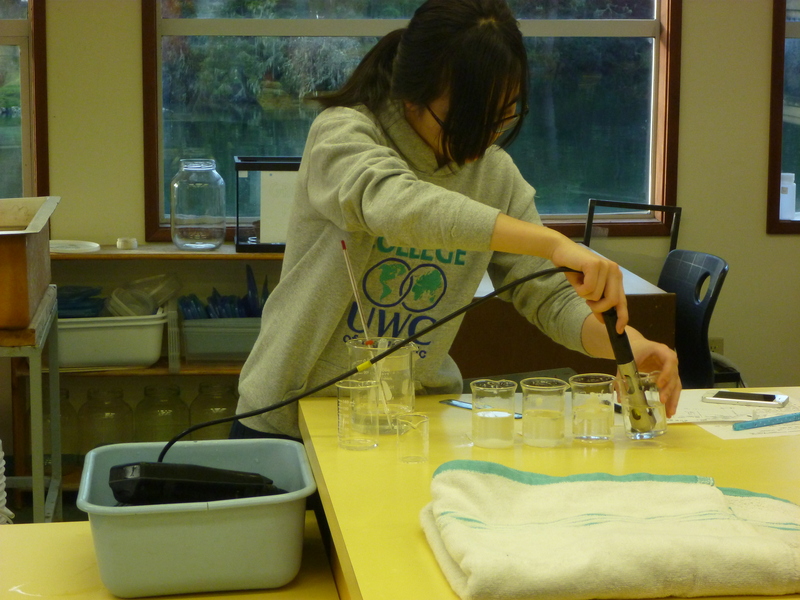 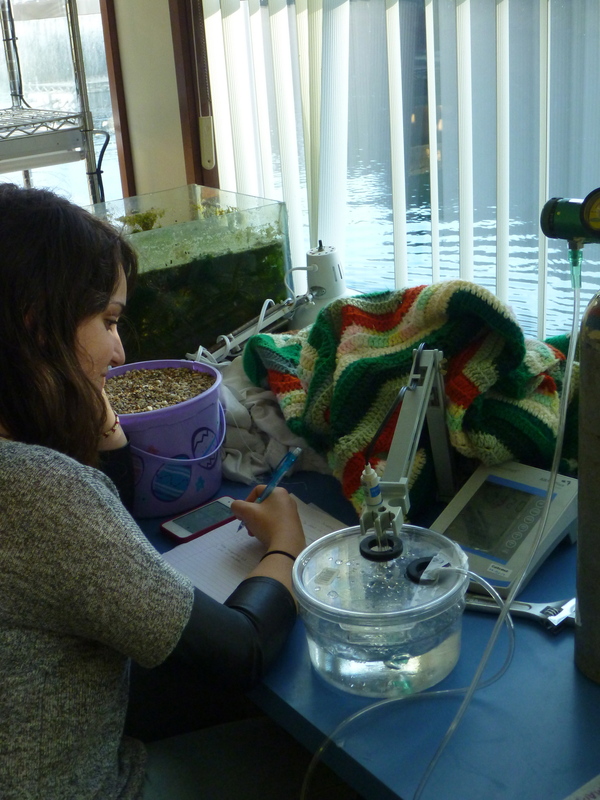 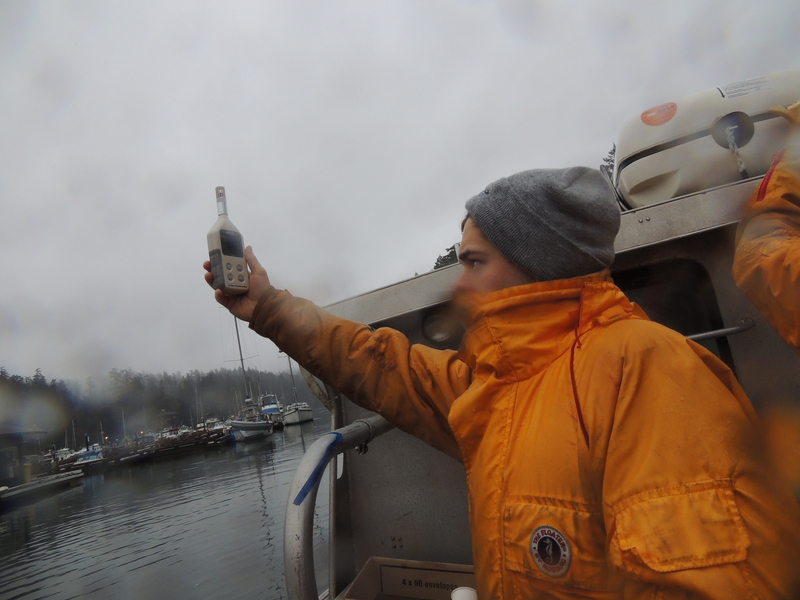 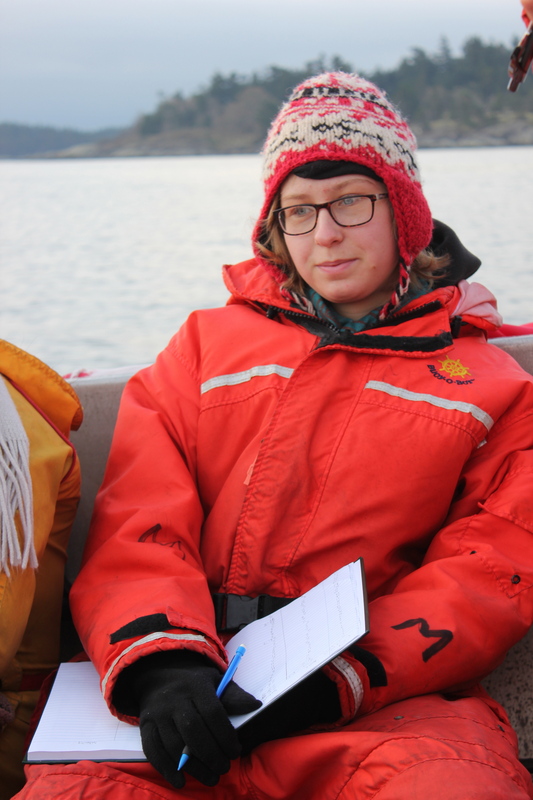 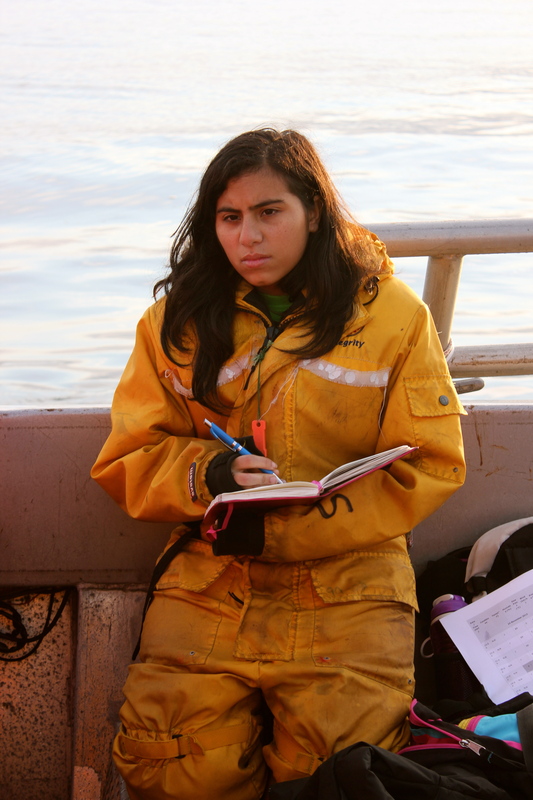 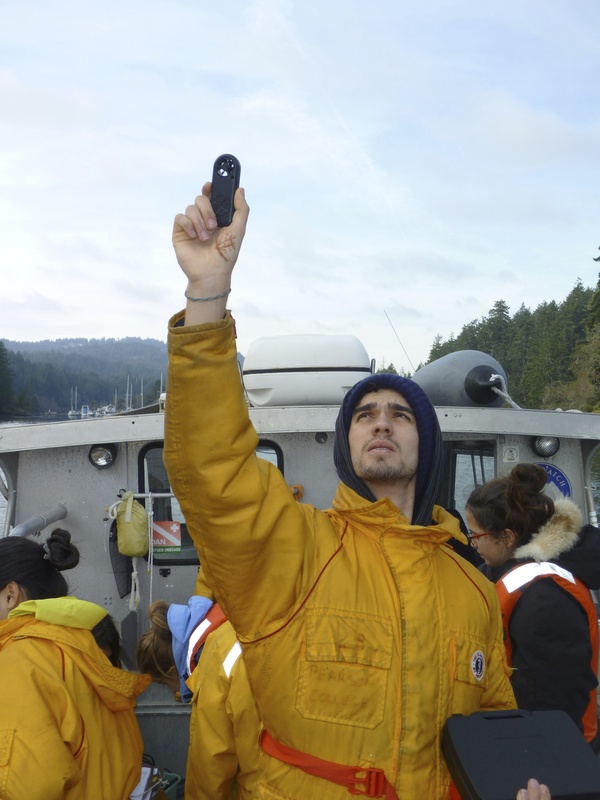 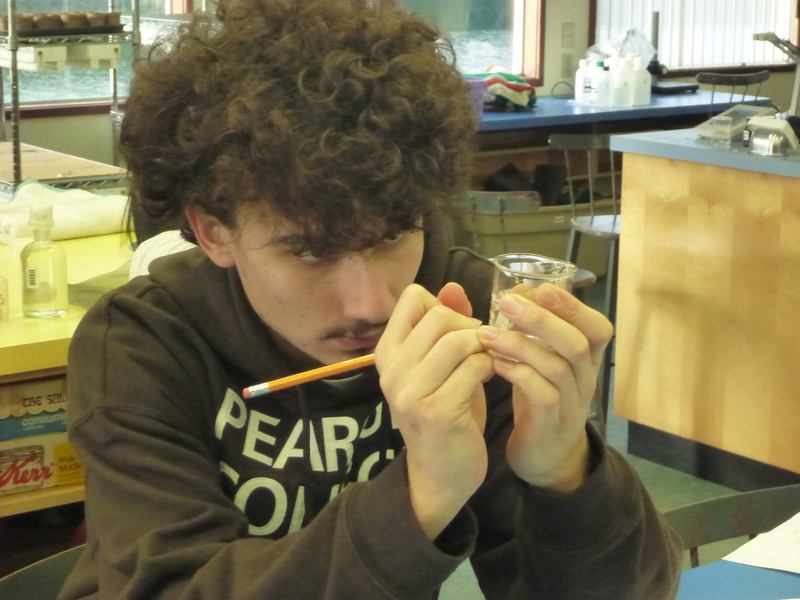 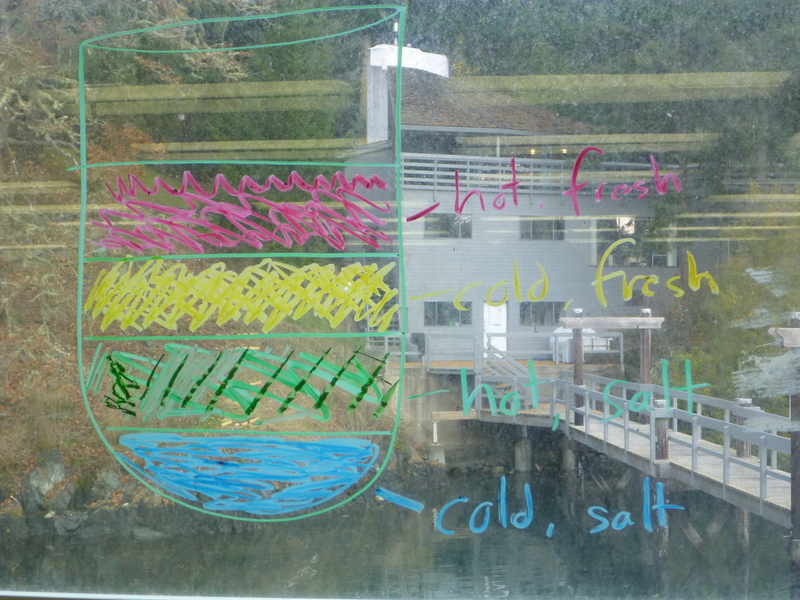 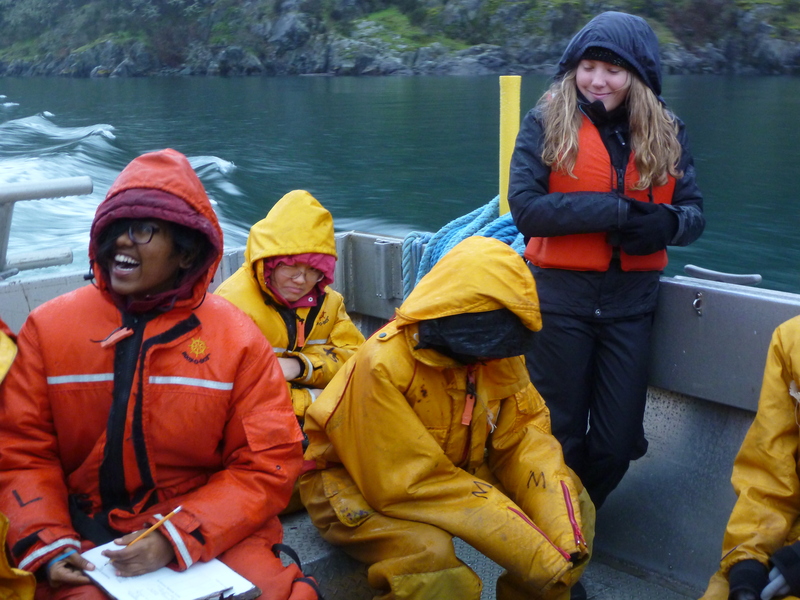 On Monday 25 November, first year marine scientists set out to “describe and explain the spatial variation in temperature and salinity in Pedder Bay”. 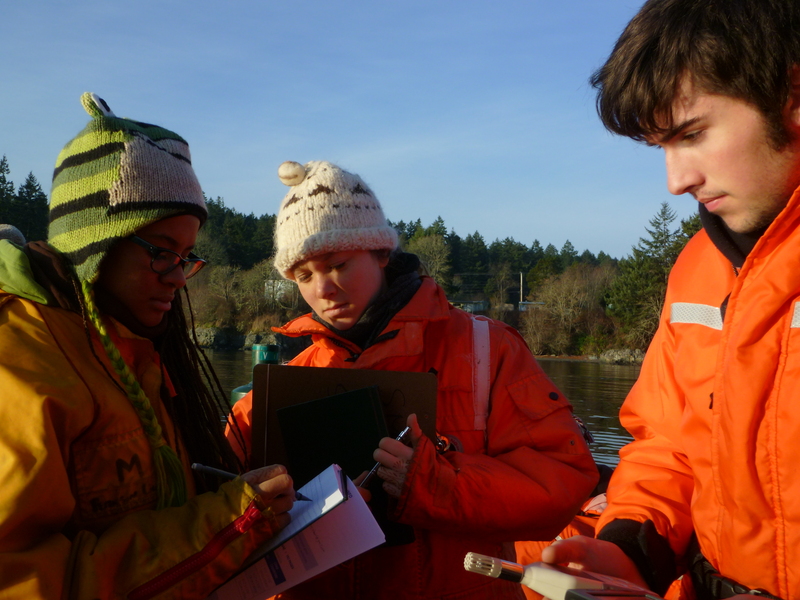 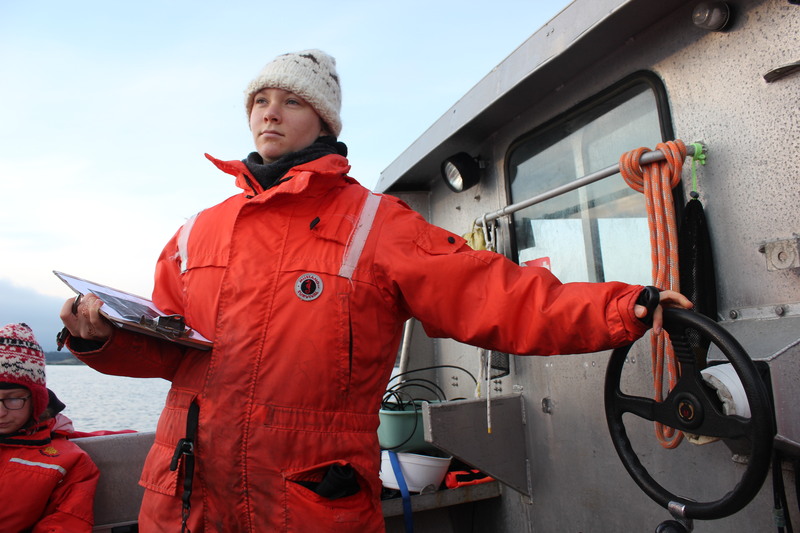 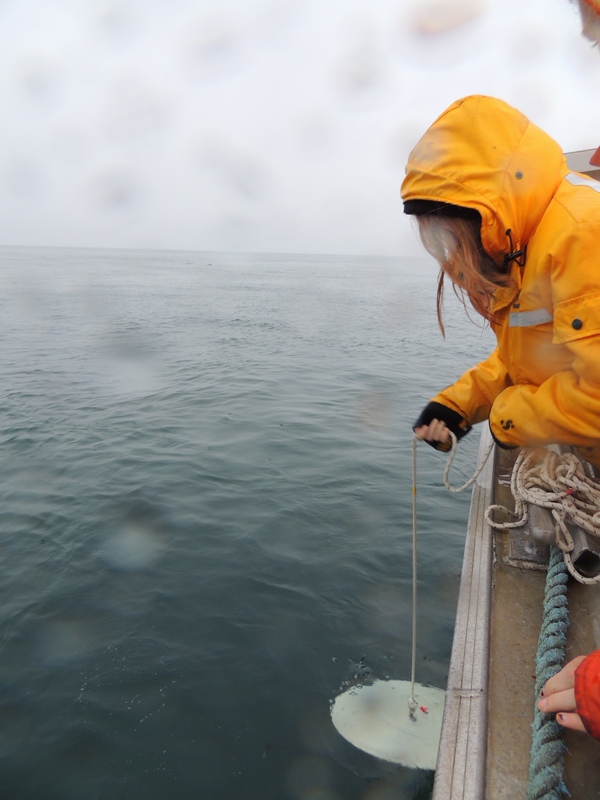 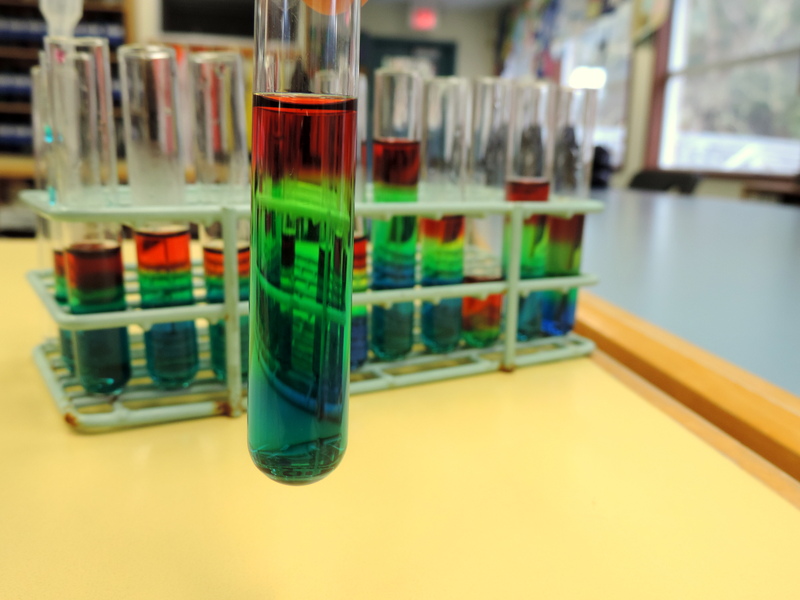 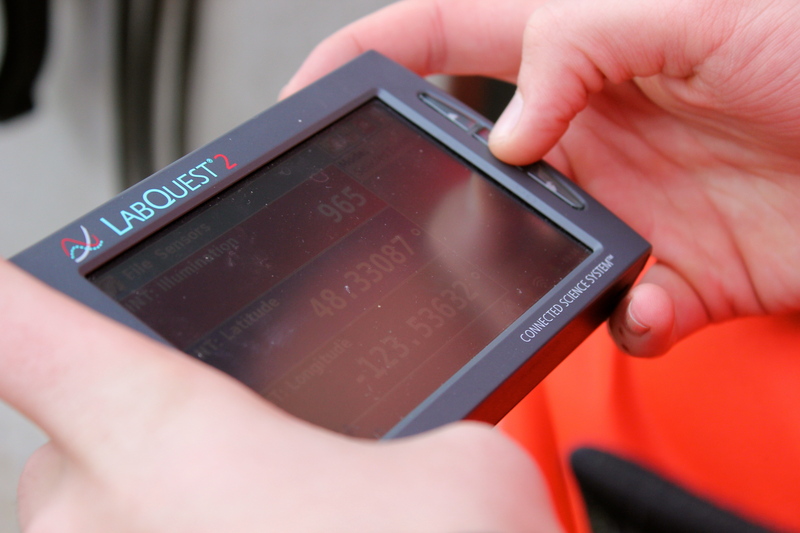 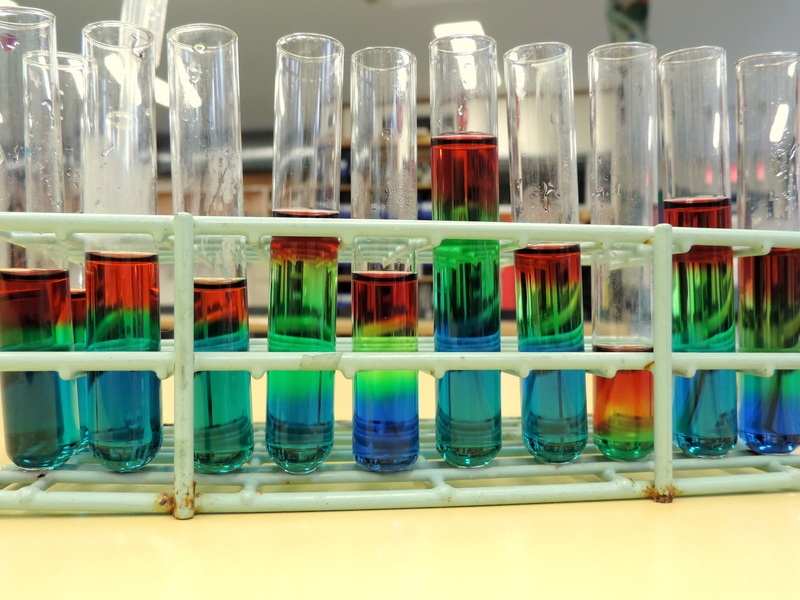 They measured and recorded temperature and salinity, at six locations within Pedder Bay and at each location, every meter from the surface to the sea floor (or to a maximum of 30 m). 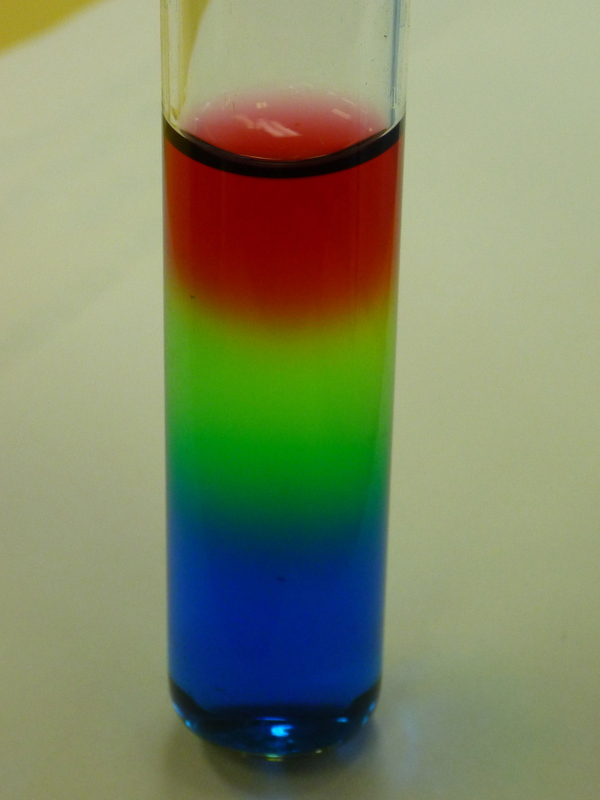 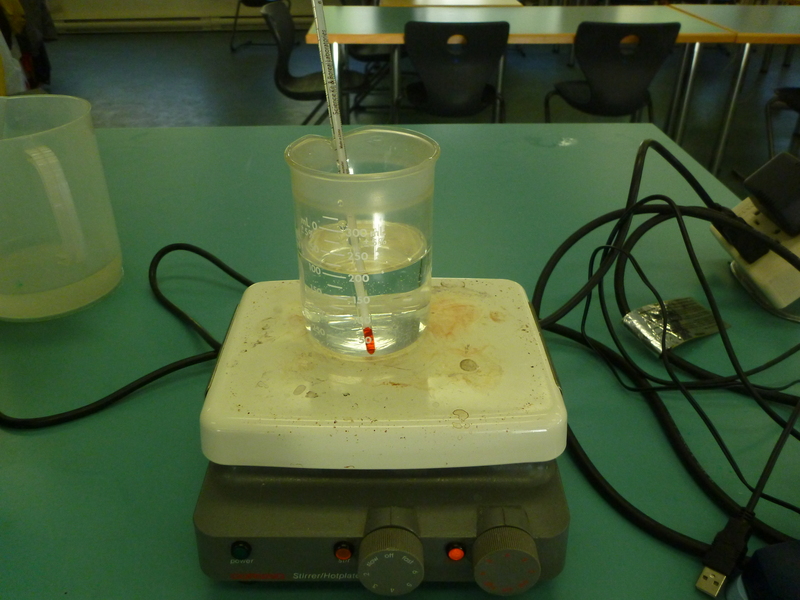 air temperature, relative humidity and illumination. 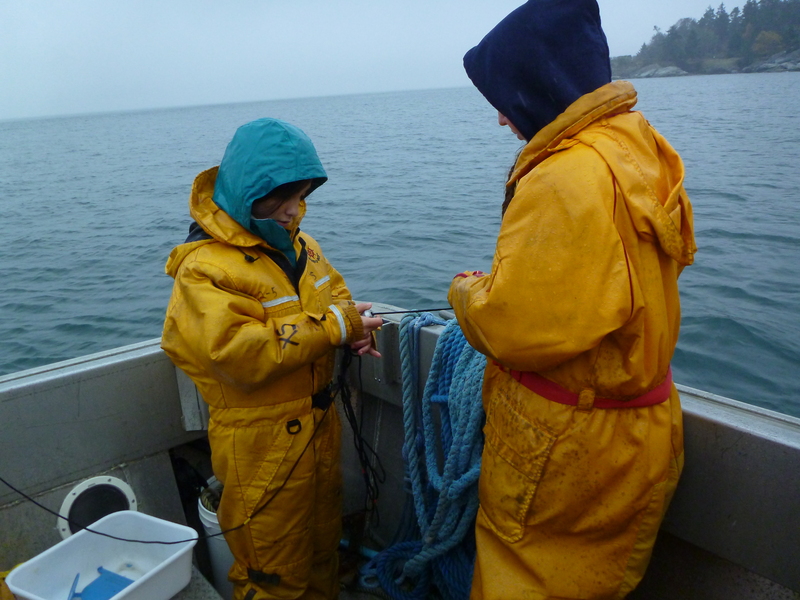 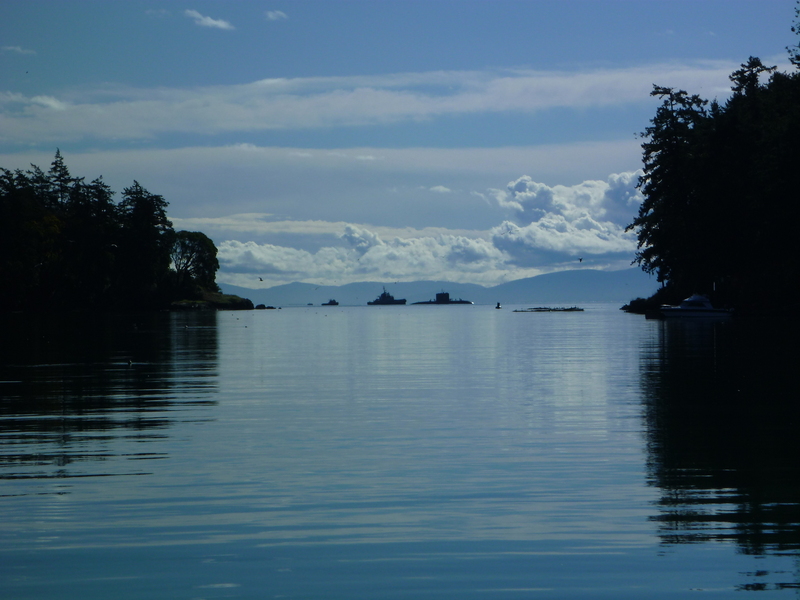 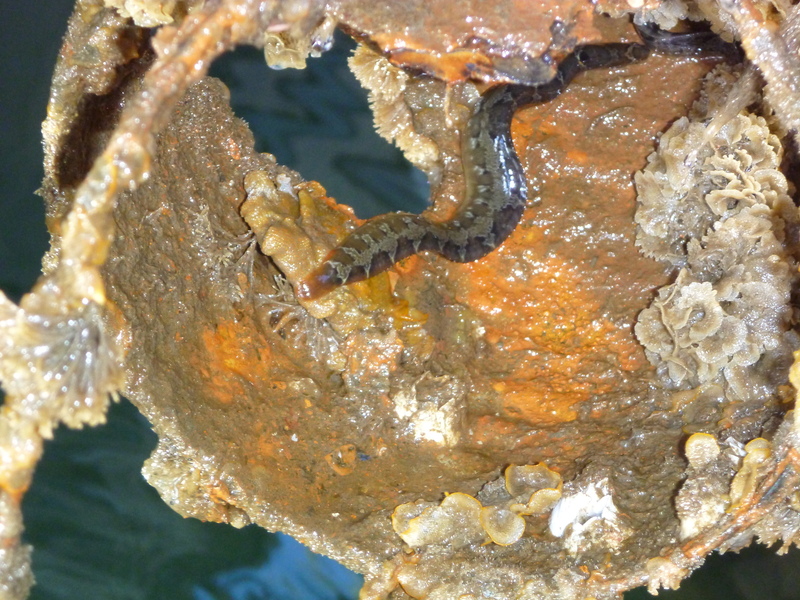 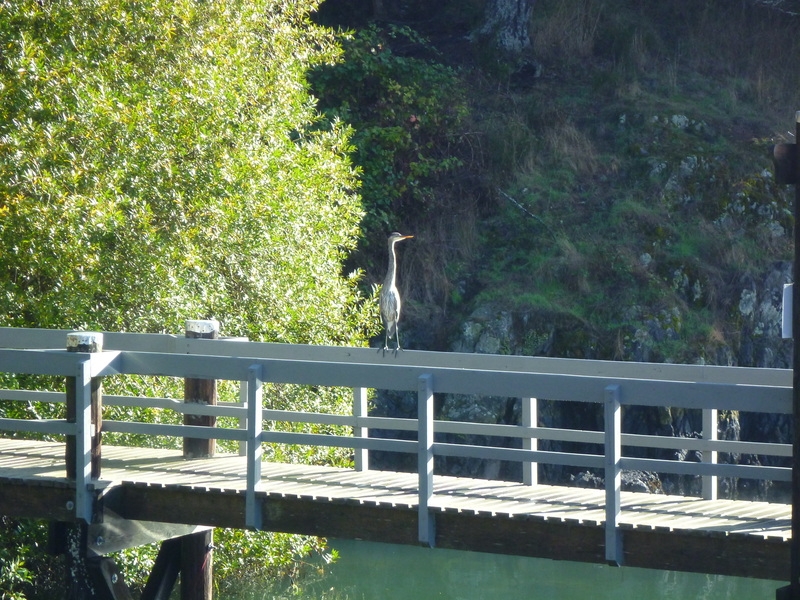 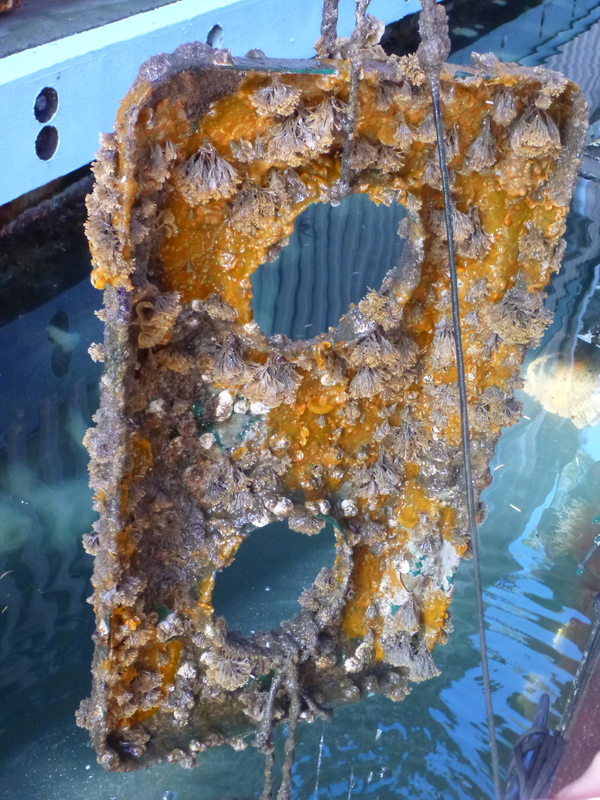 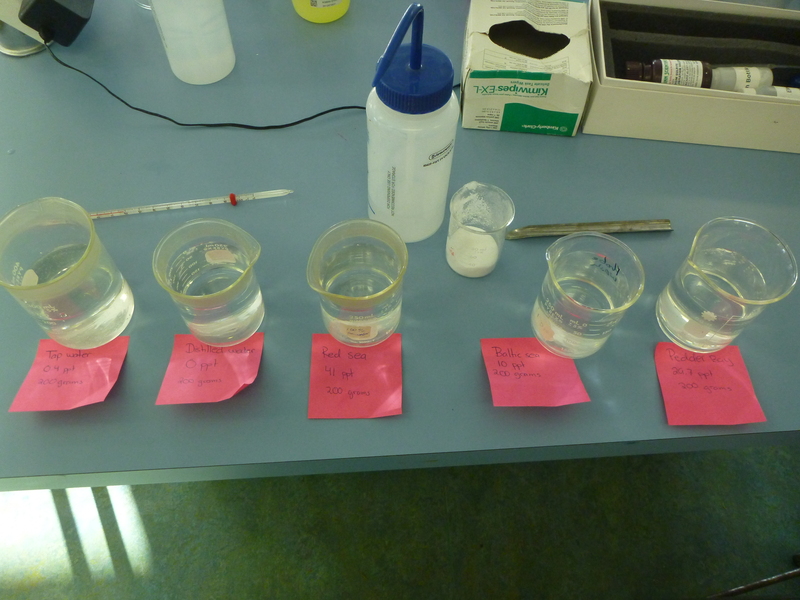 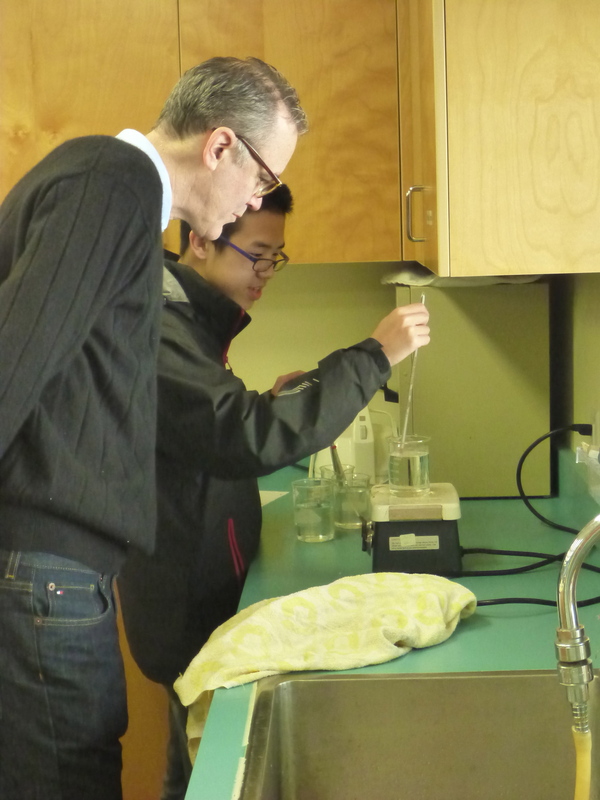 the conclusions include that surface water is warmer and slightly more salty at the mouth of Pedder Bay and there is no variation in water temperature or salinity from the surface to 30 m at the mouth of the bay. 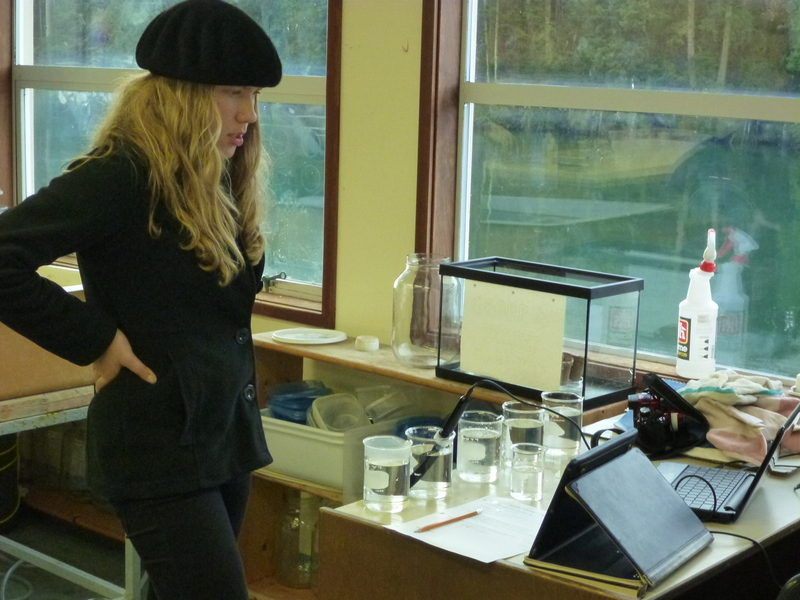 Thanks to Camille RW & Alfredo for photos!